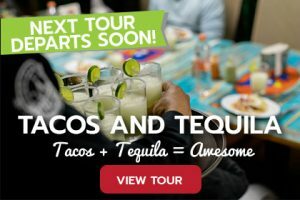 Is there a Tequila tasting included on the tour? Yes, Mexico’s quintessential alcoholic beverage will be available to sample and learn about at one of our locations. This sampling will be served along with some delicious food tastings. 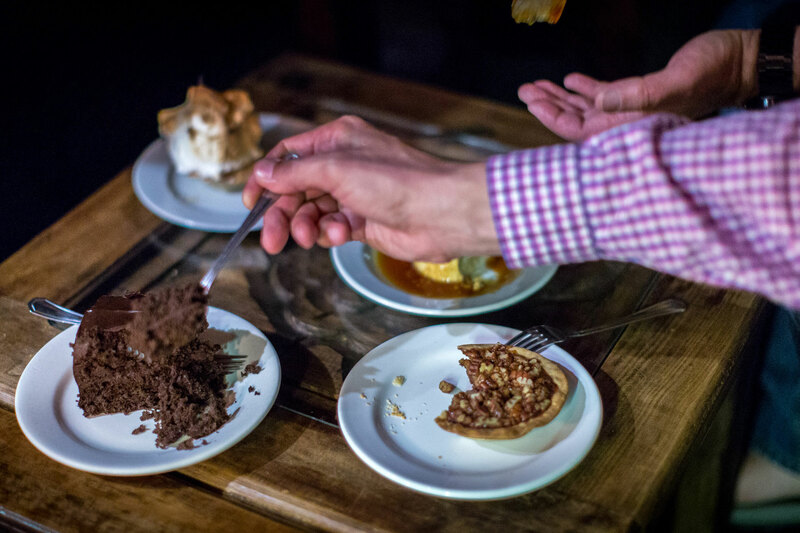 As with all of our tastings, you can decide if you would like to partake. In our tequila tour you will have 5 drinks..
We supply everyone with a bottle of water at the start of the tour. Additionally, you have several opportunities to purchase a beverage along the tour route. Please be sure and let us know if you (or anyone in your group) has a dietary restriction (e.g. vegetarian, diabetic, allergy, etc.) when you purchase your tickets. As long as we know well in advance, we can usually accommodate most tastings. The maximum number of people on a tour is 10. Absolutely! Cameras are most certainly welcome and strongly encouraged. 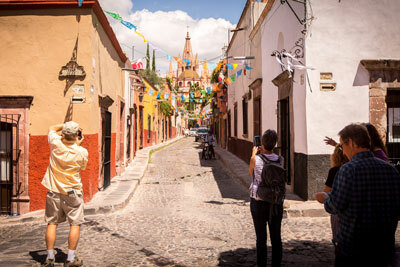 You will definitely want to shoot some photos of all the fantastic sites in San Miguel de Allende! Though there is some available street parking, it is limited. If you are not within walking distance of the start of the tour, you can take a taxi to Los Lavaderos. Yes, we offer alternative tasting options for vegetarians. Please notify us of your dietary restrictions when you purchase your ticket. We kindly ask that all tour participants wait until after the tour to do any shopping. 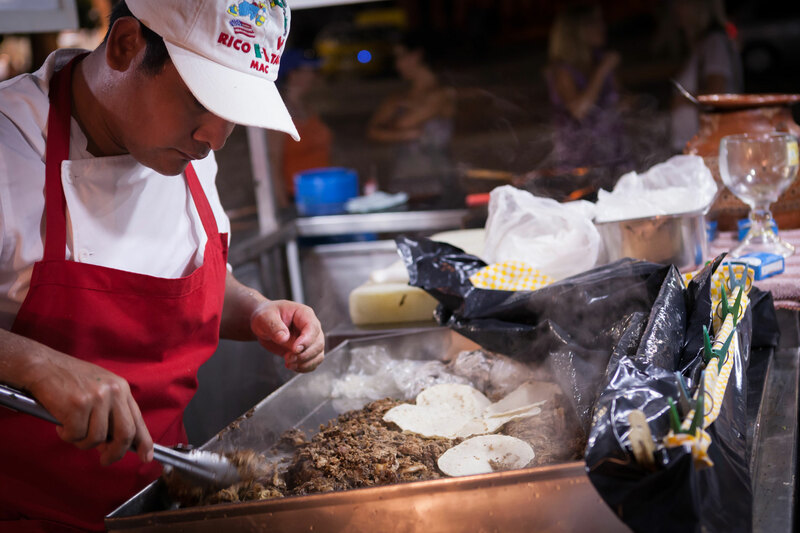 Each tour is on a schedule to ensure that each tasting location’s food is freshly prepared when we arrive. Along the route, we will point out some of our favorite shopping and dining spots. We ask you allow time at the end of the tour to return to your favorite locations and/or stores. Yes it is! Though San Miguel’s cobblestone streets can be difficult to navigate with a stroller or a wheelchair. Some may enjoy the adventure! 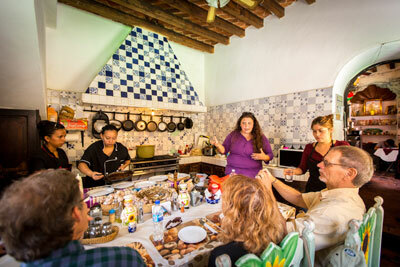 Taste of San Miguel Food Tours does not include gratuities in the cost of our tours. Gratuities are greatly appreciated, although not mandatory. The standard gratuity in the service industry is 15% – 20%. 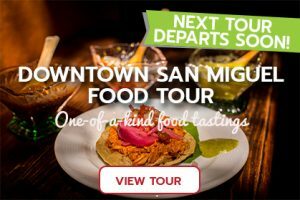 Taste of San Miguel Food Tours does not finish in the same location as the starting point. However, detailed instructions are provided after ticket purchase with starting and ending point locations. Additionally, all participants receive a map with return directions at the beginning of the tour. Return trips can be accomplished by walking, taking a taxi or a city bus. Are young children allowed to participate on a tour? 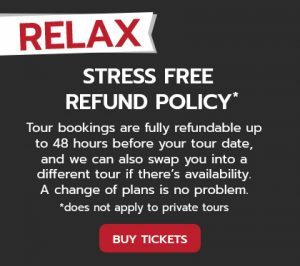 If so, how much will I need to pay? Children of all ages, whether walking or in a stroller, can take one of our tours. If they are an infant and are not participating in the food tastings, there is no cost. Otherwise, please make sure that you purchase a discounted children’s ticket for your child. Absolutely! 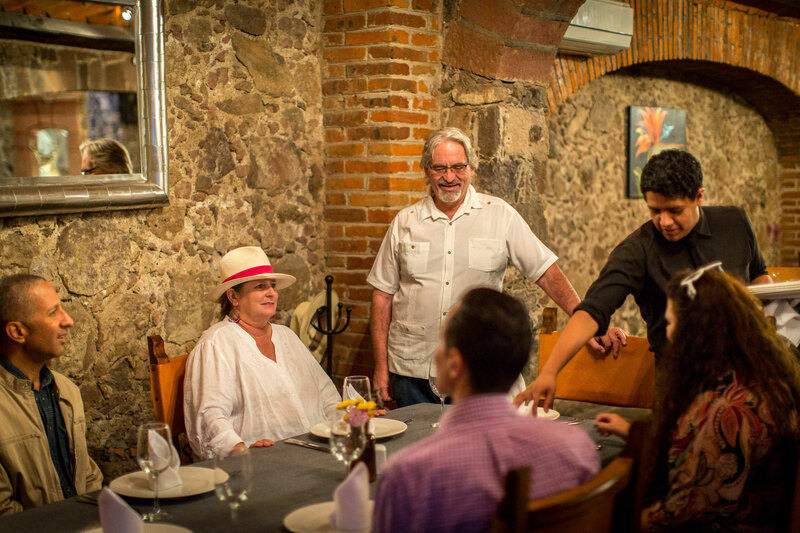 As a full or part-time resident of San Miguel you will enhance your existing San Miguel knowledge by learning about the food, culture and history of San Miguel de Allende. Learn about the origin and history of San Miguel, its colorful and fascinating stories, local flavors and come away with some new favorite dining spots. 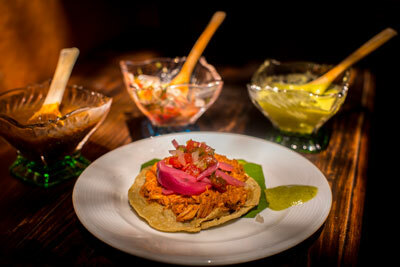 Yes, Private Taste of San Miguel Food Tours are available for all tours offered. To set up or learn more, please visit our Private Group Tours page and submit a Private Group Tour Request Form. 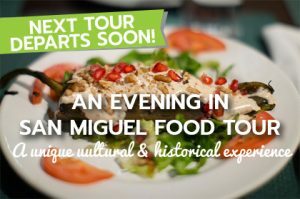 A staff member of Taste of San Miguel Food Tours will respond within 24 hours.